A former child star falls in love with a stuffy accountant, who wants to learn why his firm's movie studio is losing money. 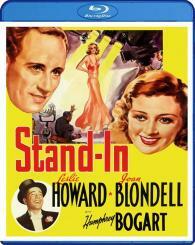 Directed by Tay Garnett, and starring Leslie Howard, Humphrey Bogart, and Joan Blondell. Cinematography by Charles G. Clarke (Miracle on 34th Street).